QuickBooks 1099 Year End To Dos. 1099 preparation tips. QuickBooks Desktop has a different process of printing the QuickBooks 1099 Year End forms than the QuickBooks Online edition (Plus). Accordingly, bookkeepers, accountants and business owners will find this article appropriate for preparing the QuickBooks 1099 in the desktop editions. However, you can apply the following 1099 Year End planning and to-dos to both desktop and online editions. Who should receive a QuickBooks 1099? You will need to print and file with the IRS a 1099 form for every unincorporated vendor you have paid more than $600 in cash and checks for either rents or services. Business entities that operate as a partnership, LLP, LTD, limited liability company, LLC, & Co., and/or a sole proprietor/individual. If your vendor operates as one of these entities you may need to send a 1099. Businesses do not need to send a 1099 to a corporation. Furthermore, payments to a corporation should include the corporation’s full legal name on the check. Corporations have a corporate descriptor as a suffix. For example, typical corporation names end with a Corp, Inc, PC,.There is one common exception that excludes corporations from receiving a 1099. If you make payments in excess of $600 to Attorney’s/Lawyers, you must send them a 1099 even if they are incorporated. QuickBooks will only print 1099s for Vendor names, so avoid using the “other name” name type for payments that may need to be included in a 1099. In Cash and checks: Only your cash and check payments will be included in a 1099. You should NOT include Credit and debit card payments. Credit and debit card merchant processors will send a 1099 to your vendor for these type of payments. At this point, make sure QuickBooks is excluding all debit card payments by using the transaction type of “check” and entering the correct code in the reference field. QuickBooks recognizes these codes to signify debit card payments: Debit, Debitcar, DBT, DBT card, DCard, Visa, Masterc, MC, MCard, Chase, Discover, Diners, PayPal. Moreover, all transactions entered on the credit card transaction type will be excluded from the 1099. Rents: Payments for rents for office space including amounts paid to you for home office space, storage space, and machine rental require a 1099 to be sent. Services – typical services (but not an all-inclusive list): Independent contractors, subcontractors, commissions, consultants, cleaning services, repair services professional fees including attorneys and accountants, referral fees, entertainers, and temporary help. Review your 1099 mapping. Determine if any accounts in your chart of accounts will ever contains QuickBooks 1099 vendor payments. Select box 1 for payments made from QuickBooks for Rents. If you would like help with this process, give us a call at 800-216-0763 and find out about our pay per call QuickBooks support. B. Verify that your UNINCORPORATED vendors are marked correctly in QuickBooks. Reports menu > vendors > 1099 summary> change the date range to this year end and print. QuickBooks will print 1099 year end forms for all vendors displayed on this report. is entity type; payments type and amount; and payments for services or rents. i. During your review, when the vendor is a corporation make sure you have listed with the name the appropriate suffix. (Corp., Inc. or PC, etc.). Specifically, to modify the vendor name return to the vendor center and edit the vendor record. Vendor center > edit the vendor > click on tax settings and mark that the vendor is eligible for a 1099. Furthermore, if you do not have the vendor’s tax id temporarily enter 99-9999999 as an ID. Likewise, if you unsure what entity type the vendor is, mark them eligible to receive a 1099. Continue your review until you have successfully marked all potential QuickBooks 1099 vendors as eligible to receive a 1099. In fact, the IRS does not penalize for sending a 1099 when it is not required. Contrarily, the IRS can assess a penalty when you fail to send a 1099. The QuickBooks 1099 standard report is now ready for your use as an important tool in gathering missing information. Thus, for those vendors you have marked with a tax id of 99-9999999, you should request a completed W-9 form. A W-9 form will let you know if the vendor is a corporation and provide the correct spelling of the vendor name and provide their EIN or Social Security number. You can update the vendor record accordingly, changing the tax ID and if applicable un-marking eligible for a 1099 (when a corporation). Is the vendor still not appearing in the default QuickBooks 1099 report? Determine which chart of accounts the vendor payments are posted to. Next, review your 1099 mapping again and make sure those accounts are pointing to Box 7 or Box 1 of the 1099 form. Remember, if the vendor was paid with a credit or debit card and had less than $600 paid in cash or checks, you are not required to send a 1099. As a result of your efforts above, when it comes time to print the 1099 year end forms, you will have no problems. 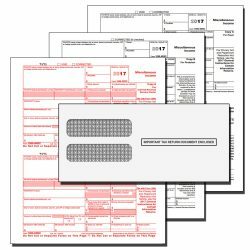 Count the number of potential 1099 forms and place your order timely so the forms are delivered by 12/31. Give us a call we can help you with your order and answer any questions you may have. We sell 1099 and 1096 forms in packages of increments of 10 QuickBooks 1099 year-end vendors forms. The additional cost when you increase your order by 10 forms is nominal so be sure to order enough to cover all potential 1099 vendors. Each package comes with 3 1096 forms. You can add additional 1096 forms to your order for 25 cents each. Each order comes with instructions on how to print QuickBooks 1099’s (downloaded PDF) when using the desktop QuickBooks software. The how-to guide comes with detailed instructions and screenshots for easy implementation. if you can get the forms mailed to the vendors and hold off filing with the IRS for a few weeks, the vendors will have time to review their forms and alert you of any errors. Fixing a 1099 before you submit to the IRS is so much easier than creating a corrected 1099. We are available to answer any questions you might have about QuickBooks 1099 year-end forms. Unsure of which type of 1099 MISC tax forms to purchase? Find out which forms are right for your company. Discounted QuickBooks 1099 tax forms!